WASHINGTON The Obama administration has labeled a violent Central American street gang as an international criminal organization subject to U.S. government sanctions, the first time this designation has been given to such a group. The designation applies to an organization known as MS-13, which started as a local street gang composed largely of immigrants from El Salvador, mostly in the Los Angeles area, and is believed to have as many as 10,000 members in 46 states and Central America. 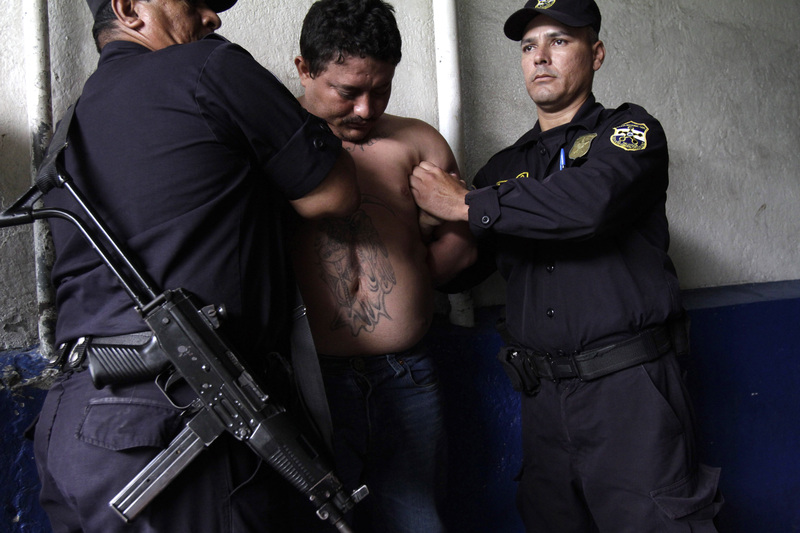 Members have been accused of crimes ranging from kidnapping and murder to drug smuggling and human trafficking. MS-13 stands for Mara Salvatrucha, and the decision being announced by the Treasury Department's Office of Foreign Assets Control will smooth the way for federal authorities to seize assets associated with the organization, which is considered one of the world's most dangerous gangs. Immigration and Customs Enforcement gang investigators have long targeted the group, arresting thousands of suspected members in recent years. ICE Director John Morton described the designation Thursday as a "powerful weapon" for his agency's ongoing effort to dismantle the gang. "This designation allows us to strike at the financial heart of MS-13," he said. The administration's decision to declare MS-13 an international criminal group will now make it easier for ICE and other federal investigators to target and seize millions of dollars in profits from drug smuggling, human trafficking and other crimes, the official said, adding that those profits are routinely funneled back to the group's bosses in Central America. By declaring the group a transnational criminal organization, the government is also making it more difficult for gang members to use banks and wire transfer services to move profits from the group's crimes. MS-13 members are known for being particularly violent and in the past have been blamed for gruesome murders, including the 2003 stabbing death of a pregnant Virginia teenager who left the gang and became an informant. Brenda Paz, 17, was stabbed to death and her body was left along the Shenandoah River. Other international criminal groups that have been subject to similar sanctions by the Treasury Department include the Yakuza, a Japanese organized crime group, and the ruthless Mexican drug cartel, Los Zetas.